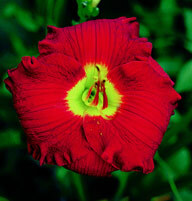 Just a simple-formed daylily with great scapes and astonishing bloom production. The color is a unique hot fuchsia-pink or hot carmine-pink. The color and profusion set this apart. 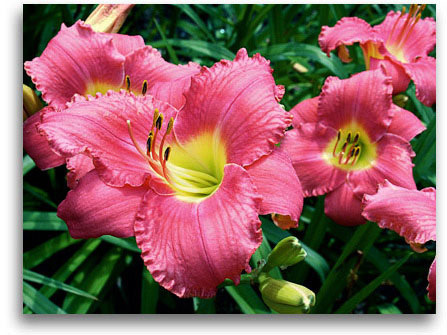 This is one of the evergreen daylilies that's quite hardy in the North. But it does better in the South. Some of our evergreens are equally at home in Canada and Florida. This is not one of them. The seed-setting capabilities are excellent, and, as a parent, this can give great, clear color to pink, rose and rose-purple crosses. I recommend planting this no farther north than central New York state. 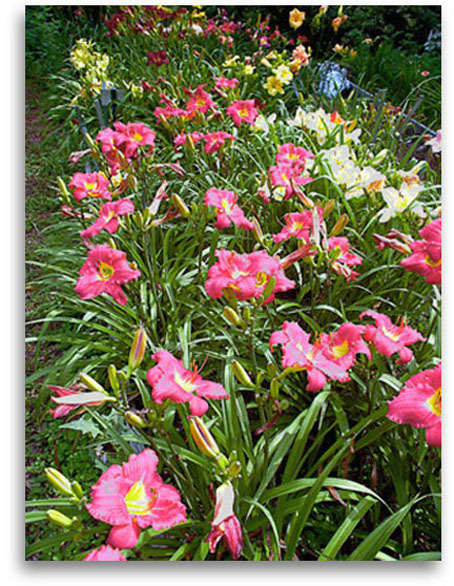 Hardiness is not the issue. It's the fact that growing this in the South allows it to become extremely robust in winter months. Without that advantage, the vigor is just average or even below average. Flaws: Not vigorous in Zone 6 north. Exceptional qualities: Robust growth in the South. Sunfastness is excellent. Exciting color.